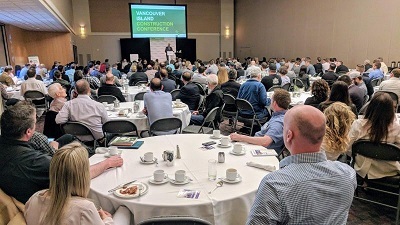 The Vancouver Island Construction Association (VICA) will be hosting the second annual Vancouver Island Construction Conference on Wednesday April 24, 2019. This one-of-a-kind conference — and flagship event — will bring together participants from all walks of the construction industry from contractors, manufacturers, and suppliers to engineers, architects, owners, and developers. Last year, over 250 delegates attended. This year, due to its success, we’re anticipating even more! Join the conversation online at #VICC2019 (Twitter, Facebook, LinkedIn) and click HERE to receive event updates and be notified before early bird pricing ends!